'You got to know when to hold'em, know when to fold'em.' 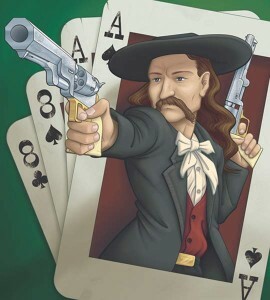 Those classic lyrics, taken from the Kenny Rogers tune, 'The Gambler,' are so poignant when it comes to playing poker. The game creates an illusion of complexity, with all its Sit and Go Tournaments, when, in reality, the simple things earn you your bucks. Learning to fold is the most underrated strategy in the game of poker. While everyone is running around paying good money to learn how to triple-merge hand ranges, you should just be learning to throw that pile of garbage into the muck. There is often a debate between poker players when it comes to folding. There is the mathematician's approach and the intuitive approach. Let us use an amazing example from the recent $1,000,000 Big One For One Drop at the World Series of Poker (WSOP) to demonstrate our point. Tom Dwan raised to 32,000, Mikhail Smirnov called in the small blind (holding pocket eights), as did John Morgan in the big blind. The flop was [Js] [8c] [7s], Smirnov bet 50,000, Morgan called, and Dwan folded. The turn was the [8s], giving Smirnov quads, and he bet 200,000; Morgan called. The river was the [Ks], Smirnov bet 700,000, Morgan moved all-in for over 3,000,000, and Smirnov folded quad-eights face-up. The mathematicians amongst us would have argued that Smirnov should not have folded under any circumstances. There was only one hand that had him beaten – [Ts] [9s] – which is a very small part of his range. But Smirnov was not thinking mathematically; he was thinking intuitively. What is the point of making the correct mathematical decision over the long run, when you are sat in the biggest game of your life? It's a tough one that's for sure. What would Kenny Rogers say? 'You got to know when to hold’em, know when to fold'em'.